Runtime 1 hr. 30 min. 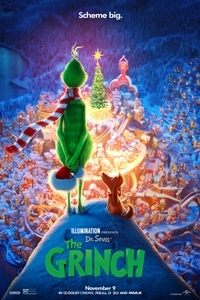 SynopsisThe Grinch tells the story of a cynical grump who goes on a mission to steal Christmas, only to have his heart changed by a young girl's generous holiday spirit. Funny, heartwarming and visually stunning, it's a universal story about the spirit of Christmas and the indomitable power of optimism.